Over the years I have developed a love/hate relationship with numbers. Back in high school, my favorite subject in school was math. I loved numbers, and problems and equations…and I was good at it too. It was one of the only subjects I got an A in every time (outside of gym, of course) and I even took a teachers aid class my junior year because I was thinking of being a math teacher myself. When I began in ministry though, my love of numbers slowly began to change. For me, it drives me crazy when I see churches and pastors that have gotten swept up in the corporate America way of evaluating success, which tends to be solely based on numbers. 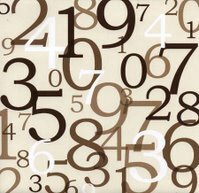 Your Senior Pastor or Elders Board regularly asks about your program numbers the previous week. A parent who is new to the church wants to know how many kids come on a weekly basis. You’re home for Christmas, and your aunt wants to know how big your youth group is. When you’re at a ministry conference or retreat, you’re asked over and over again by other pastors how many kids are in your group and you yourself return the favor as we kind of size one another up. Personally, I have grown really tired of this game that we play with numbers in ministry. It makes me sick. Now, I know that numbers are important but the question that I have been asking a lot is are we using them correctly? I think there is a big problem in the way we evaluate our ministry based on numbers because they can be very misleading about true success. In my opinion, true success in ministry is about leading youth and their families to a deeper understanding of Christ. Period. This question is not answered by numbers alone. Sometimes the small church with 10 kids can actually make a much bigger impact when in comes to the Kingdom of God than the big church with 150 kids who show up to play games and see their friends. I think for some time we have begun to sacrifice depth and discipleship for the sake of looking good in our jobs. So how do we use numbers the right way? First, I think we need to not be afraid or worried if numbers in our youth groups start to drop. Sometimes this can just be something that God is doing to help drive our teens to a deeper place with God. I wrote a little bit about this in one of my previous blogs, It’s the Little Things That Matter. Second, we have to learn to take pause when numbers change or drop and ask ourselves is this a symptom of the ministry as a whole and our effectiveness as ministers OR is this a sign that a particular program needs to change. This is something that I have been experiencing this year. Our High School ministry from a program standpoint has really struggled. We lost 23 seniors last year who really had carried the program for the last two years. Now, at first reaction someone could conclude that we are failing to reach high school students because of our program numbers. But when you actually evaluate the kids we are reaching in other avenues, we have actually increased this year. This leads me to my third point. We have to more away from a program based number to a ministry based number to evaluate our effectiveness. In my ministry I call this our “Reach Number.” What this includes is the number of our kids that our church is reaching through a relationship with myself, one of our other leaders, Sunday School and Sunday services. In my opinion, this is true discipleship! Walking through life with kids and being the light of Christ in their lives. I have kids who I have a friendship with who will not likely step foot into one of our programs or church on a Sunday morning for a number of reasons. But this doesn’t change the fact that I am teaching them about Christ and the Bible. Isn’t this the number that should be more important? How many kids are going deeper in their relationship with Christ? How many kids are exploring and asking questions? How many kids do we have access to in a given week? By asking these questions and reevaluating how we look at our ministries and the numbers attached to them will have a huge impact on the future and the generation we are ministering to.